A bioengineering startup tries to commercialize a new tool that might totally change the way we identify and treat disease. We have tools to look inside the body without killing the patient, so why should we have to kill cells to understand disease? It’s hard to believe that only a hundred years ago, scientists mostly studied disease by dissecting cadavers. Doctors didn’t have tools like blood tests, imaging, molecular biology, and other diagnostics to see what was going on inside a body while a person was living. So our knowledge of anatomy and our ability to identify illness was limited to the dead body. That seems incredibly primitive today, but that’s what we’ve been doing at the cellular level until now. 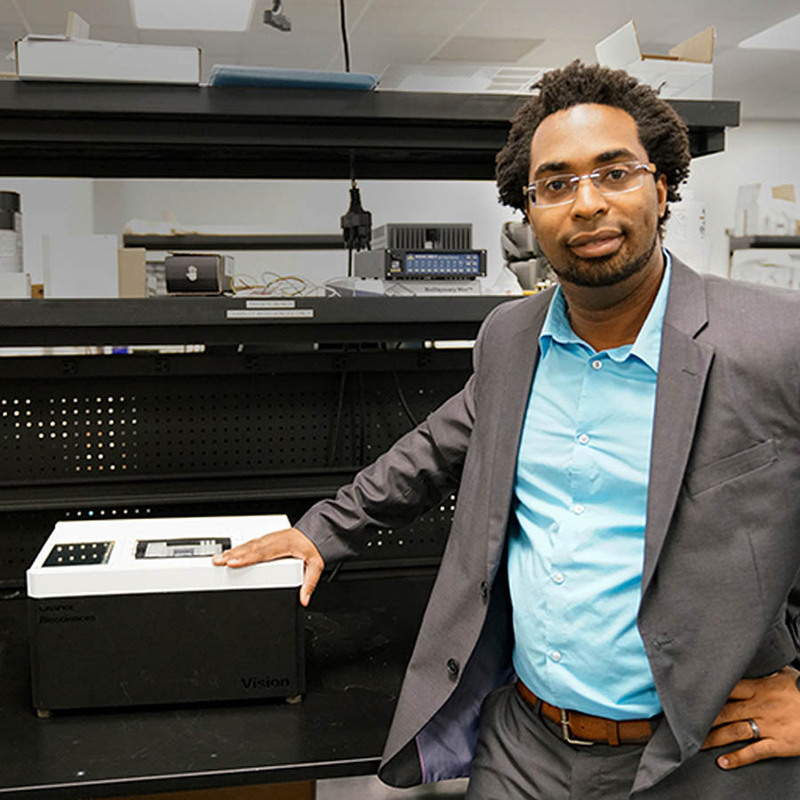 David Charlot and his startup Charlot Biosciences is changing that. I was curious to learn more about their technology and what that means for the future of diagnosing and treating disease. Also, since I’m definitely not an expert in the life sciences, I wanted to learn about the existing techniques we hear a lot about, like flow cytometry, PCR, gene sequencing, immunotherapy, and the latest hot thing, CRISPR. It’s exciting to see him in action at the cusp of growing the business. We talk about commercializing university research, and he shares his lessons learned, which are transferrable to a broad range of businesses. David is an experienced inventor, entrepreneur, and manager with 15 years experience building tools to solve challenges in human health. He is a knowledgeable bioengineer with specialization in automation and systems integration for live cell analysis. He received his PhD in bioengineering from University of California, San Diego and BSc in physics from Delaware State University. He worked as a senior systems engineer at Hycor Biomedical. He developed intellectual property (IP) and systems for Vala Sciences. David is also co-founder and former Chief Technology Officer of Biological Dynamics, an oncology diagnostics company based in San Diego. During his tenure from 2009-2016, David gained considerable experience translating university IP from research to a commercially viable product. He established the technical vision of Biological Dynamics and developed their proprietary platform from idea through commercial readiness for research use and FDA clinical trials. He helped raise $37M across 3 rounds of funding, managed a diverse cross-functional team of 25, and generated 15 patents for the company. As CEO of CBio, David leads a multidisciplinary team to implement his vision to provide access to novel tools clinicians and researchers need to detect treatable disease early. His core passions are providing access to advanced live cell analysis tools and expanding opportunities in STEM education. He believes empowering the next generation of researchers with disruptive technology will spark their creativity and reshape the future of clinical diagnostics.